Heavy Gauge - No Tear - No Need to Double Bag Again! 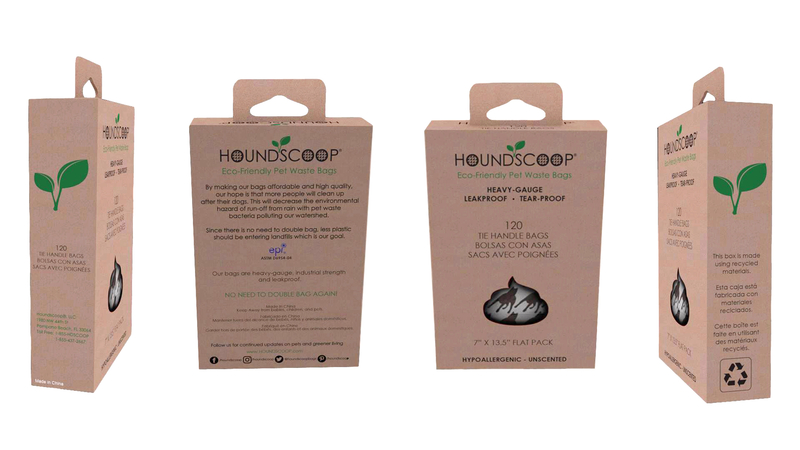 HOUNDSCOOP® 120 Count Tie Handle Pet Waste Bagssimilar to our standard bags are heavy gauge, tear-proof and the perfect solution for dog owners looking for eco-friendly pick-up bags without having to double bag. However, these bags are extra wide with handles which makes tying them even easier as well as carrying them for disposal. 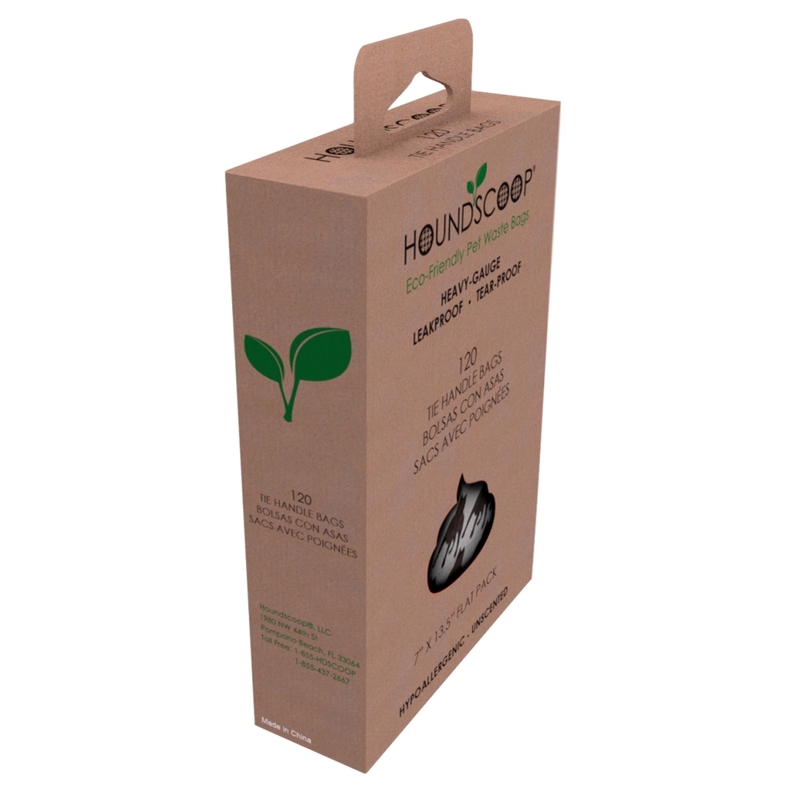 The bags are unscented and hypoallergenic which is great for both pet owners and their pets and adds fewer chemicals to the environment. 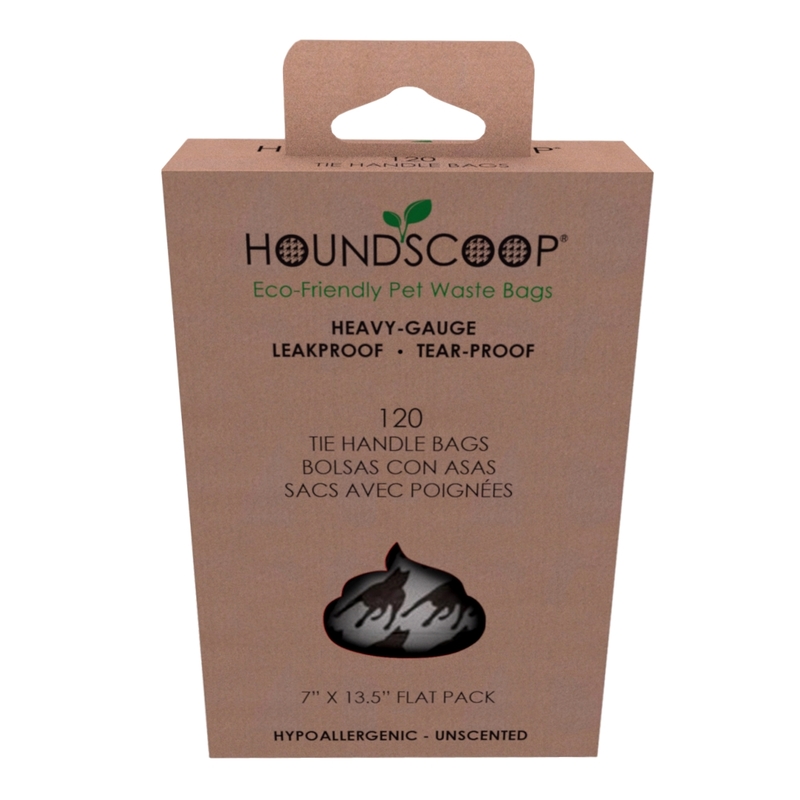 Besides their strength and reliability, you will find that these bags are easy to open which is not always the case for pet waste bags. They also have style in their appearance which has been sought after by many. People get stopped by strangers when they see our bags given their unique appearance. 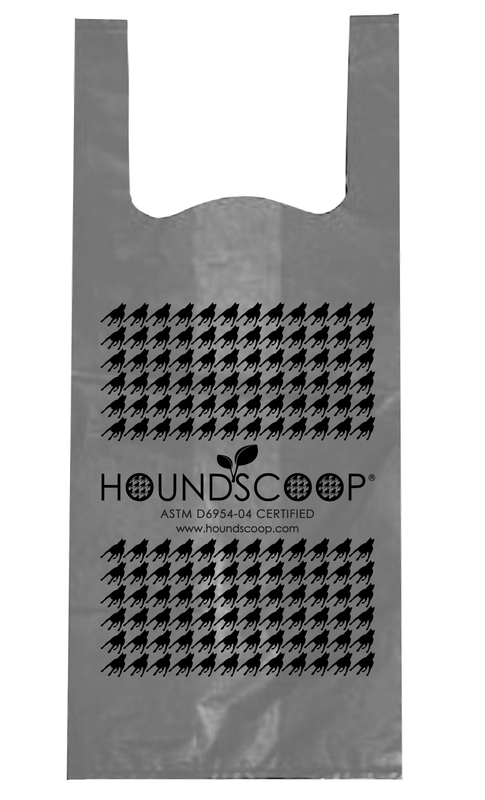 Our hope is that the added style further entices people to clean up after their pets. The added clean up helps lower the pollution in our water resulting from pet waste bacteria in run-off from rain when it isn't picked up. Since the bags are so strong there is never a need to double bag which lowers the amount of plastic going into the landfill. 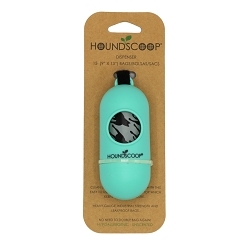 People today not only want a quality product but they want to be more environmentally friendly in everything they do.